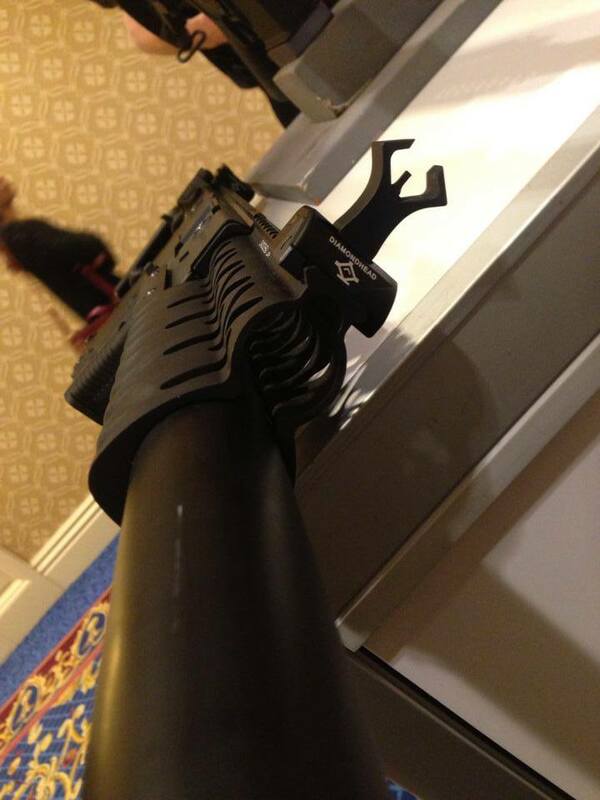 So I talked to the people at Diamond head at SHOT SHOW 2014. Retail is $180. Coming out in a few months. Right now this is the only one in existence. I would prefer it to be longer for increased sight radius. One issue I had was receiver height rail. It makes the rail system very tall. Too tall to grasp comfortably in my preferred method. It can take rails on the bottom. Using a light in the receptacle is possible, but the problem is you will get some serious shadow. The light will be in a tunnel so it will cut off the corona of the light. I am good with the design just the way it is provided they thread a few holes in the 3 & 9 position so you can add short rails. With rails on the side you can then mount your light on either side. I would gladly move my light from the receiver socket to the side of a rail as nice as that. I have an SBR with TiRant suppressor which would look great as it would only stick out the front of the handguard a few inches. that is badass to bad my Osprey wont work with it. 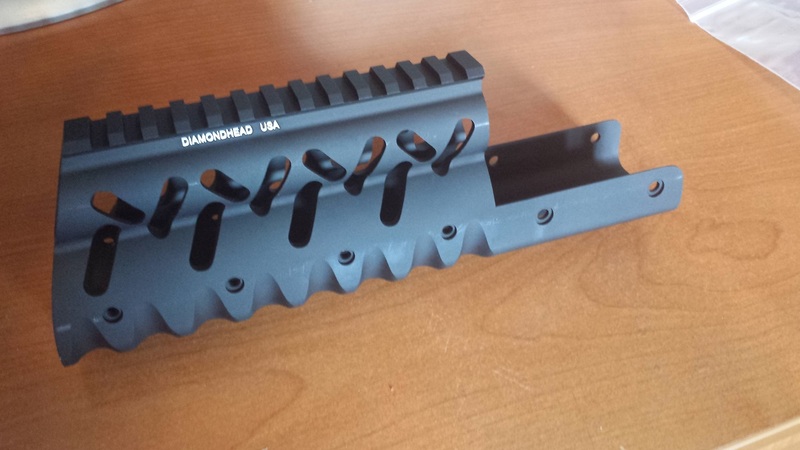 Anyone know if Diamond is going to bring this handguard to market? Its now listed on their store though back order. It wasn't even in their lineup a couple days ago so it should be coming out soon. 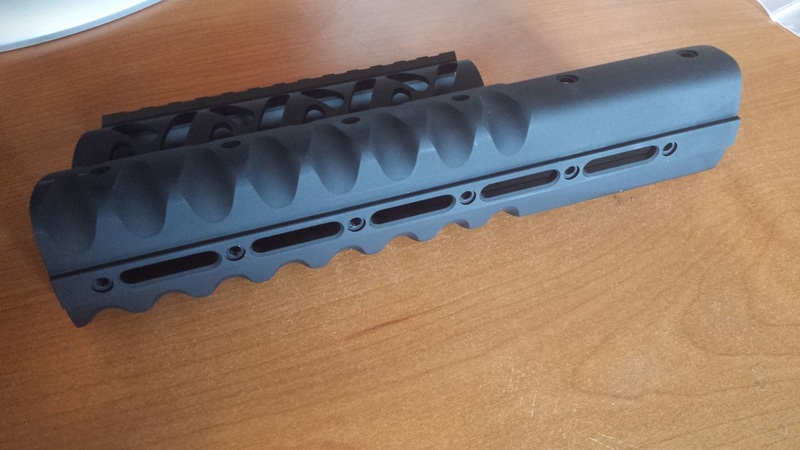 I wonder if you could mount an AAC Ti-Rant/piston on a 6.5" barrel with the Diamondhead VRS Rail attached? 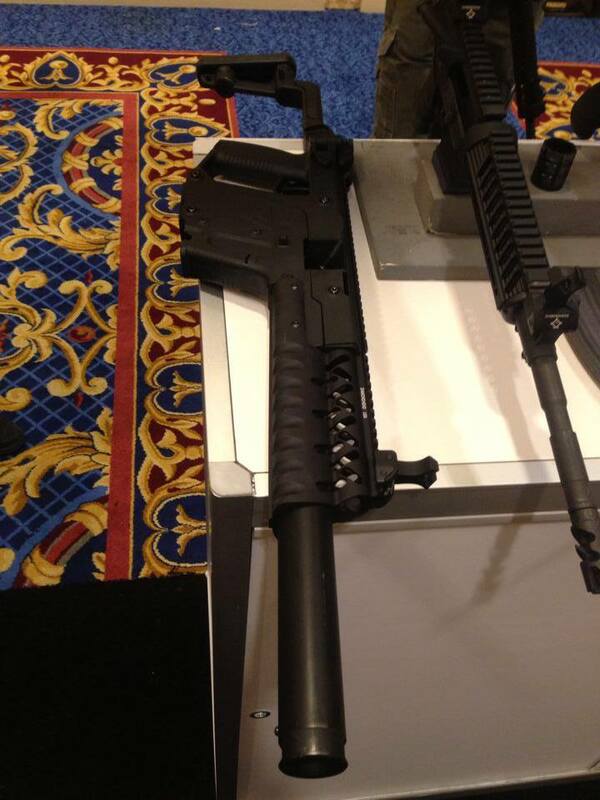 (Or any other 6-7" long 45ACP suppressor)....Will have to compare the AAC diameter with that of the VRS Rail. Local hardware store will have them, M4(4mm), not sure what length you need but they're only 20 cents apiece. I placed my order yesterday and the charge is pending on my card so they must have some in stock. HarleyD1259 wrote: I wonder if you could mount an AAC Ti-Rant/piston on a 6.5" barrel with the Diamondhead VRS Rail attached? (Or any other 6-7" long 45ACP suppressor)....Will have to compare the AAC diameter with that of the VRS Rail. The TiRant will work as I have one on my SBR and the OD of the TiRant is smaller than the OD of the barrel shroud on the 16" you see pictured. 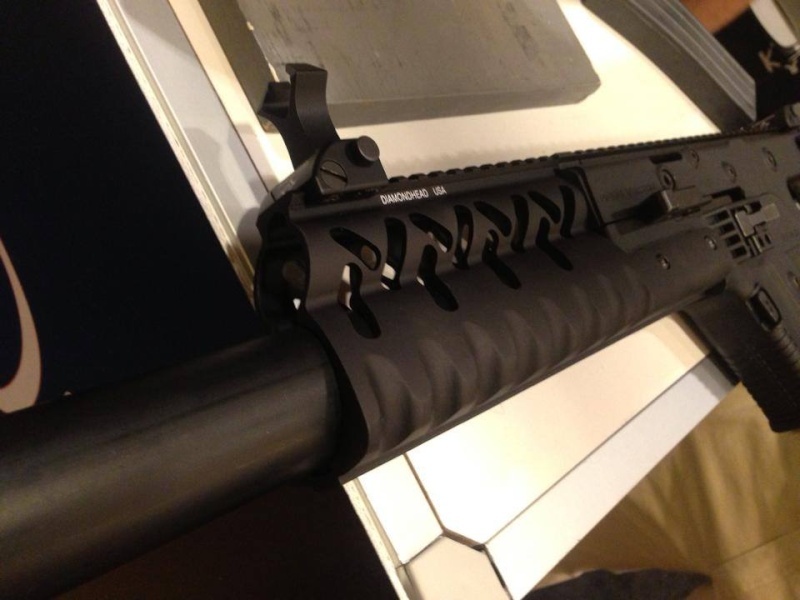 I am going to order one of these handguards tomorrow and will post pictures of what the TiRant looks like under the Diamondhead rail. My guess is that only about 4 inches of the suppressor will stick out giving it that MP5-SD look. Thanks MadDogDan. Look forward to seeing your pics of the Ti-Rant and Diamondhead Rail combo. Just ordered a Diamondhead Rail myself. The site said "back ordered" but hopefully it will not take long to receive it. Thanks for the info regarding the Ti-Rant/shroud diameter comparison. Got mine today, I guess they are in stock. Good news: Fits perfect, looks great, very well made and aluminum not plastic. kanewtervalve wrote: Good news: Fits perfect, looks great, very well made and aluminum not plastic.